There’s an exciting double-header of Premier League darts this week, with Rotterdam staging consecutive nights of top-class action. There are a number of fascinating match-ups in week 11B, which takes place on April 19th. This game is the first of a double-header for the Australian and he is likely to struggle against his high-flying opponent. 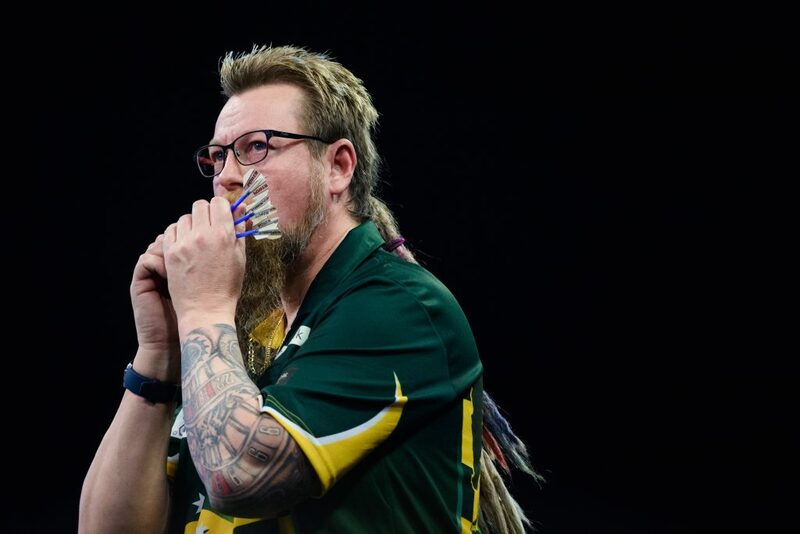 Whitlock began the season in solid form but has only won one of his last five matches in the Premier League and that came against the now-relegated Gerwyn Price. It’s been a poor week for the Wizard, who suffered a heavy defeat to Michael van Gerwen before withdrawing from the European Tour at the weekend. Whitlock took to his social media to explain that he has been feeling under the weather and needed to rest ahead of this week’s Premier League action. Michael Smith has been in tremendous form and can boast a slightly superior three-dart average than his opponent. Prior to the week 11 fixtures, he sat second in the table and has won three of his last five matches. His only recent defeats have come against the all-conquering Michael van Gerwen and the William Hill World Darts Champion, Rob Cross. The pair met in the Premier League on February 22nd , where Michael Smith won 7-3, and we could see a similar result once again. The two players are level on points ahead of this week’s action, with both competing admirably in the Premier League so far. Daryl Gurney is a player in form and has won four of the last five, averaging almost five 180s per match. Anderson has enjoyed a profitable 2018 so far and has won three of the last four in the Premier League, including a crushing 7-2 victory over fellow Scot Peter Wright on April 12th. He has the second highest three-dart average so far with 98.99, and has outscored his opponent seven times this year. The pair drew 6-6 when they met earlier in the season and a similar outcome is expected here. Rob Cross took a while to get into his stride this season but the former electrician is starting to find some form in the Premier League and he will fancy his chances against Peter Wright. Voltage sits third in the table, level on points with Michael Smith, and has won four of his last five matches. His only defeat came against Daryl Gurney with the Northern Irishman clearly benefiting from the partisan home crowd in Belfast. Cross is odds-on here and will be expected to see off Peter Wright, who currently props up the Premier League table despite his victory last week. The penultimate match on April 19th is a mouthwatering all-Dutch affair that is likely to light up Rotterdam Ahoy. Michael van Gerwen leads the way in the Premier League and it’s hard to see anyone stopping him. Mighty Mike has won nine of his first ten games and is the only player to have a three-dart average above 100. He can also boast the highest average checkout, which currently stands at 122.60. 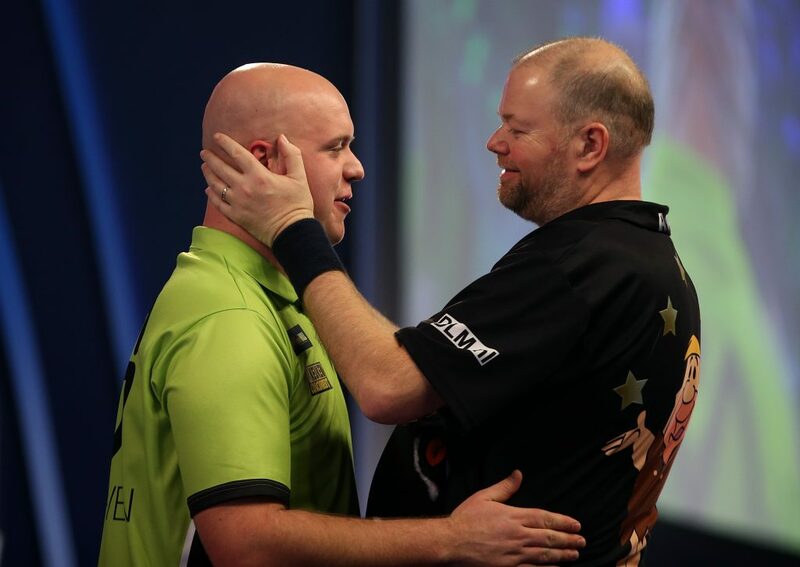 Michael van Gerwen after winning against Raymond van Barneveld. Van Barneveld’s form has tailed off this season and he has lost four consecutive matches in the Premier League. He’s won just seven legs from a possible 28 and was easily swept aside by an out-of-form Peter Wright on April 12th. Barney is struggling for form and motivation and we can expect an MVG whitewash with a 7-0 scoreline not completely out of the question. Both Daryl Gurney and Simon Whitlock play their second game of the evening, with the pair meeting in the final Premier League clash. These two picked up a point each when they met earlier in the season but it’s the Northern Irishman whose form has improved since that meeting on March 15th. Gurney is likely to fire in more 180s and he can boast the higher three-dart average, but Whitlock can be deadly on his doubles and neither player can afford any slip-ups here. With Whitlock suffering from illness this week, a second game is probably the last thing he would have wanted and Gurney should be able to take advantage of that.